LONDON (Reuters) - The U.S. Commerce Department is set to place export restrictions on Chinese telecoms equipment maker ZTE Corp <000063.SZ> for allegedly violating U.S. export controls on Iran, according to documents seen by Reuters. The restrictions will make it difficult for the company to acquire U.S. products by requiring ZTE's suppliers to apply for an export license before shipping any American-made equipment or parts to ZTE. According to a Commerce Department notice that will be published next week in the U.S. Federal Register, the license applications generally will be denied. The restrictions will take effect Tuesday, Reuters has learned, and apply to any company worldwide that wants to ship U.S.-made products to ZTE Corp in China. 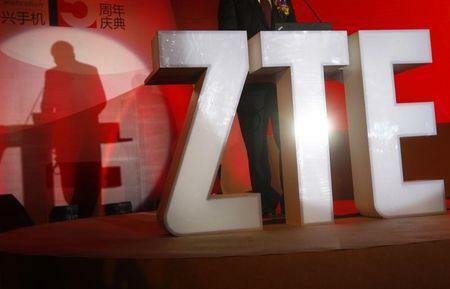 Those companies are not the target of the export curbs on ZTE. "This is a significant new burden on trade with ZTE," a senior official at the Commerce Department told Reuters. The official declined to comment on whether the U.S. government might take further action against ZTE. A spokesman for ZTE, based in Shenzhen, China, could not be reached for immediate comment. The company can appeal the action. The Commerce Department investigated ZTE for alleged export-control violations following reports by Reuters in 2012 that the company had signed contracts to ship millions of dollars worth of hardware and software from some of America's best-known tech firms to Iran's largest telecom carrier, Telecommunication Co of Iran (TCI), and a unit of the consortium that controls it. The U.S. product makers - which included Microsoft Corp <MSFT.O>, IBM <IBM.N>, Oracle Corp <ORCL.N> and Dell Inc [DI.UL] - have all said they were not aware of the Iranian contracts. It is not clear if any of these companies still do business with ZTE. Washington has long banned the sale of U.S.-made tech products to Iran. The Commerce Department's investigation focused on whether ZTE had acquired American products through front companies and then shipped them to Iran, a violation of U.S. sanctions. Commerce Department investigators obtained internal ZTE documents – some marked by the company "Top Secret" - outlining an alleged sanctions-busting scheme. Reuters reviewed some of the documents. The senior Commerce Department official declined to comment on whether ZTE had carried through with the alleged scheme. The day after the first Reuters article was published in March 2012, a ZTE spokesman said the company would "curtail" its business in Iran. The company later issued a statement saying: "ZTE no longer seeks new customers in Iran and limits business activities with existing customers." What effect the new export restrictions will have on ZTE's current global business is not clear. One undated internal ZTE document obtained by Commerce Department investigators and reviewed by Reuters states: "Our company has many technologies and components that came from suppliers in the U.S." It also states: "Lots of chips or software used in the products of our company is from U.S. suppliers." One of ZTE's websites also states that several major U.S. tech companies, including Microsoft, Intel Corp <INTC.O>, IBM and Honeywell International Inc <HON.N>, are "key strategic partners of ZTE." The terms of the partnerships are not described. A spokeswoman for Microsoft said the company had a licensing agreement with ZTE but could not confirm if the Chinese company purchases other products, such as software. The other U.S. companies did not respond to requests for immediate comment. The undated internal ZTE document also describes a proposal overseen by the company's legal department that describes ways to export American products subject to U.S. sanctions by using shell companies to avoid getting caught. "The biggest advantage" of one method is that it will make it "harder for the U.S. government to trace it or investigate the real flow of the controlled commodities," the document states. In its planned action against ZTE, the Commerce Department cites the proposal, stating that the company "planned and organized a scheme to establish, control, and use a series of 'detached' companies to illicitly re-export controlled items to Iran in violation of U.S. export control laws." It is not clear if the alleged scheme was carried through. Another internal ZTE document from August 2011 that discusses "U.S. export control risks" facing the company allegedly was signed by several top ZTE officials, including Shi Lirong, its president. The document, marked by the company "Top Secret" and "No spreading abroad without permission of ZTE", begins "Dear company leaders". It states that ZTE "has on-going projects in all five major embargoed countries - Iran, Sudan, North Korea, Syria, and Cuba. All of these projects depend on U.S.-procured items to some extent, so export control obstacles have arisen." The document goes on to cite "other risks" to ZTE, including its operations in the United States. "R&D employees at the U.S. Research Centers often travel between China and the U.S., carrying R&D data," it states, in an apparent reference to research and development. "This already severely violates the law." The document does not specify what law may have been violated. The company "needs to take preventative measures immediately, otherwise will face the risk of being investigated anytime," the document states. The document also states that ZTE's Iran project "can potentially put us at risk of being put on the Blacklist by the U.S. If on the Blacklist, our company may face the risk of losing the supply chain of U.S. products." ZTE Corp is one of the world's largest telecom equipment makers with operations in 160 countries, according to its website. It also is a major manufacturer of mobile handsets. Founded in 1985, its shares trade on both the Hong Kong and Shenzhen Stock Exchanges. Besides ZTE, the export curbs will apply to two of its Chinese affiliates, ZTE Kangxun Telecommunications Ltd and Beijing 8-Star, and an Iranian company, ZTE Parsian.